Driving in extreme heat can put a strain on your engine and make your vehicle overheat. It’s also hard on your tires due to the extra heat on the highways. Therefore, you need to make sure your vehicle is ready before taking any trip. It doesn’t matter if you’re heading to the beach for the day, taking a road trip with friends or visiting family, you need to follow a few safety tips for summertime travel to stay safe while enjoying the beautiful weather. Before jumping in your Toyota and taking off to have some summertime fun, make sure your vehicle is ready for the trip. Nothing will spoil an outing more than getting stranded on the side of the road because you failed to take precautions. Always check the air pressure in your tires. The air pressure changes with extreme temperatures, so it’s important to check it regularly. Never drive a vehicle with slick tires. The tread is what maintains traction on the road, so slick tires are a major safety hazard that can cause serious accidents. Check your spare tire to make sure it’s in good shape and make sure you have the tools to change the tire in case of a flat. If you’ve never changed a tire, now is a great time to learn how. Stock and carry a first aid kit and road flares in your vehicle in the event of an accident or in case you get stranded somewhere. Schedule an appointment to have your Toyota serviced prior to leaving on your trip. This way, you’ll know that everything is in good shape and ready to go. 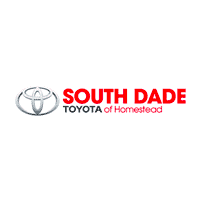 Our qualified Toyota service center technicians are familiar with all the latest technology so they have the training and experience to service all makes and models to keep your Toyota running smoothly. When traveling for long distances, you tend to move things around inside your vehicle. It’s easy to lose track of things, which is why you need a specific place to keep all of your important items. Clean out your dash or console for your cell phone, charger and any other important items you need quick access to. This way, you won’t be searching the vehicle for your phone, gas money or anything else you need because everything is in one place and readily available. It’s also a good idea to pack some snacks and plenty of water for your trip. You never know when you might need something to eat or drink and there may not be any stores for miles. Following these simple tips can help make your summer travel safer and more enjoyable.